June 13, 1973 was not a good day for Michigan City. The webpage states if the winds had not been blowing from the south the fire would have been even more catastrophic. I remember this fire. I was 6 years old. Mom got off work at Inter-Royal from the 3-11 shift. She came home, woke up my dad and us kids, and we proceeded to walk down there to watch. The heat was so intense that the whole area was blocked off from Washington to 10th, and no one could travel between the east side and west side on the north end. 12 was closed from Pine St. It was crazy. I remember crying because the fire was so destructive and I had Uncles that worked there and thought they might be inside. They were not working at the time, thank goodness. Odd that you posted this as I was just talking about this fire yesterday. 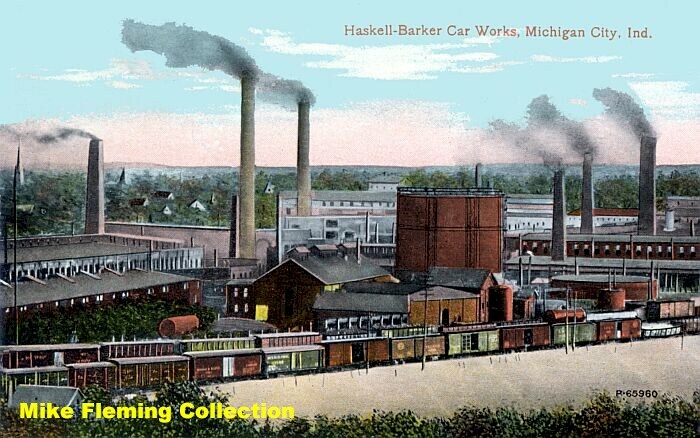 I had an old timer tell me that the car shops used to have a factory steam whistle that they blew at lunchtime and quitting time that could be heard all over Michigan City.